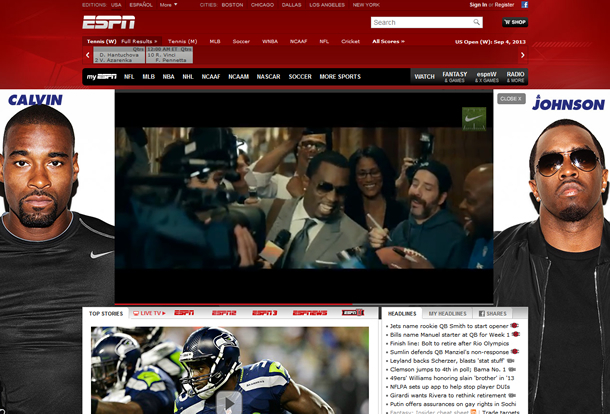 When I visited ESPN.com this morning, Diddy's face looked back at me. He's featured in a new Nike ad with NFL player Calvin Johnson, titled "Calvin & Johnson." In the clip, Diddy emerges as Johnson, the alter-ego of Calvin Johnson who can take care of the off the field, fame related aspects of his career so that the other half, known only as Calvin, can focus on football. Check out a screenshot of the ESPN spread below.